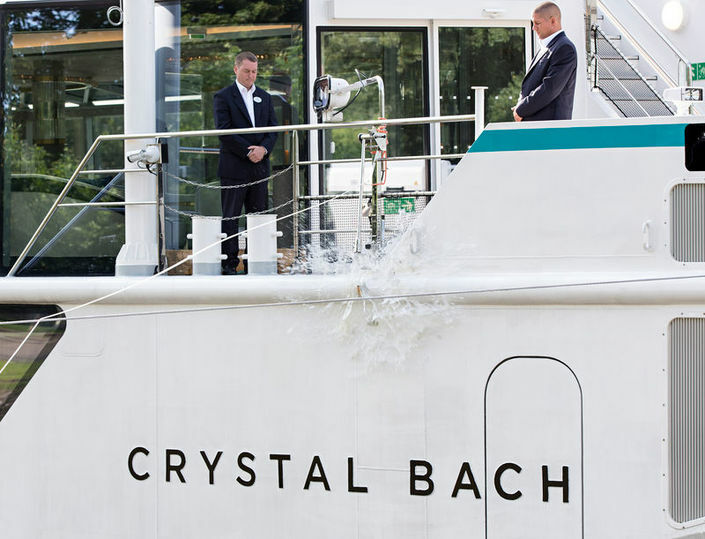 Crystal River Cruises christened Crystal Bach, the first of its four new build “Rhine Class” river ships, on Sunday, 20th August in Rüdesheim, Germany. Crystal’s CEO and president, Edie Rodriguez, presided over the ceremony, along with emcee and longtime popular Crystal entertainer, Mark Farris. The ship’s godmother, beloved German opera star Anna-Maria Kaufmann, christened the ship with the traditional blessing and champagne breaking, and also lent her famed talents to the celebration with a special performance of Johann Sebastian Bach’s “Air on the G String”. Also in attendance were the ship’s cruise guests, local travel partners and executives from Crystal’s parent company, Genting Hong Kong. 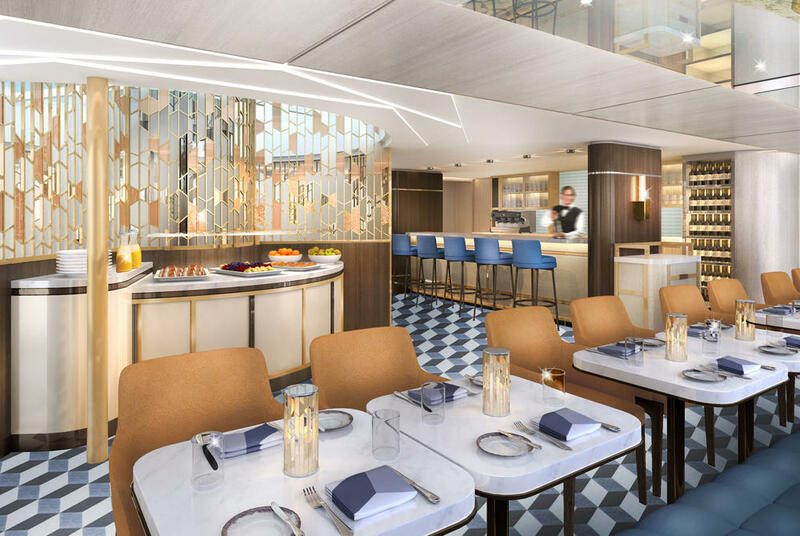 In another industry first, Crystal Bach and the “Rhine Class” ships feature all categories of accommodations positioned above the water line, boasting king-sized beds and Crystal’s acclaimed personal butler service. The design of the vessels firmly reiterates Crystal’s commitment to not only surpassing the very best the luxury travel industry currently has to offer, but leading the charge in pioneering new standards of luxury – a philosophy also driven home with the christening and debut of Crystal Skye, Crystal’s fully custom B-777, last week in Las Vegas. The festivities of Crystal Bach’s christening reached far beyond those in attendance in Germany, as Crystal broadcast the live stream of the ceremony via its Crystal Cruises Facebook page, effectively inviting the world to join in the celebration. 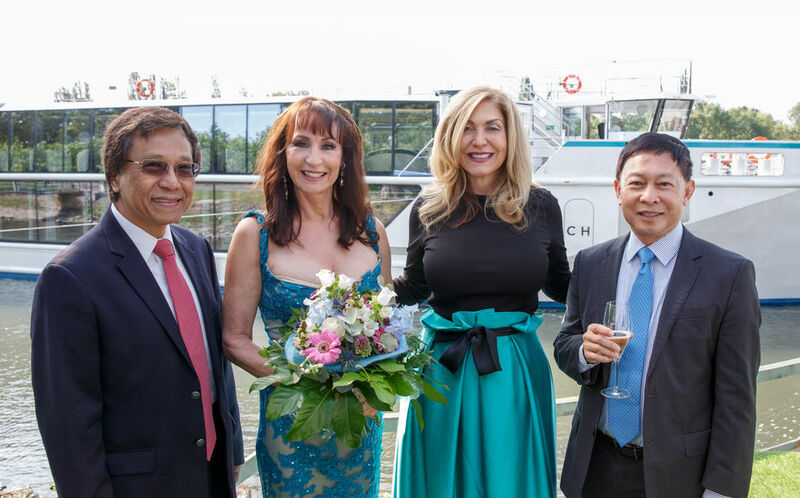 Crystal Bach joins Crystal Mozart as part of the Crystal River Cruises fleet recently named “World’s Best River Cruise Line” by Travel + Leisure on Crystal Mozart’s one-year anniversary on 11th July. Sailing 10- and 14-day voyages predominantly along the Rhine River, she will offer calls in Belgium, Netherlands, Switzerland and Germany. 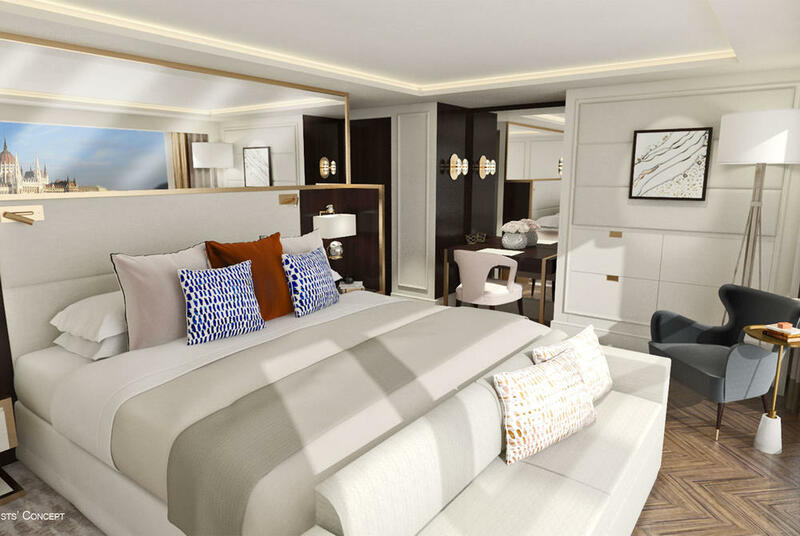 All four “Rhine Class” river ships will offer plush amenities and spaces rare seen in the river cruising industry, including Panoramic Balcony-Windows™, walk-in closets and dual vanity in the bathrooms in most categories, ETRO robes and slippers, wall-mounted flat-screen HD TVs, and Nespresso machines. 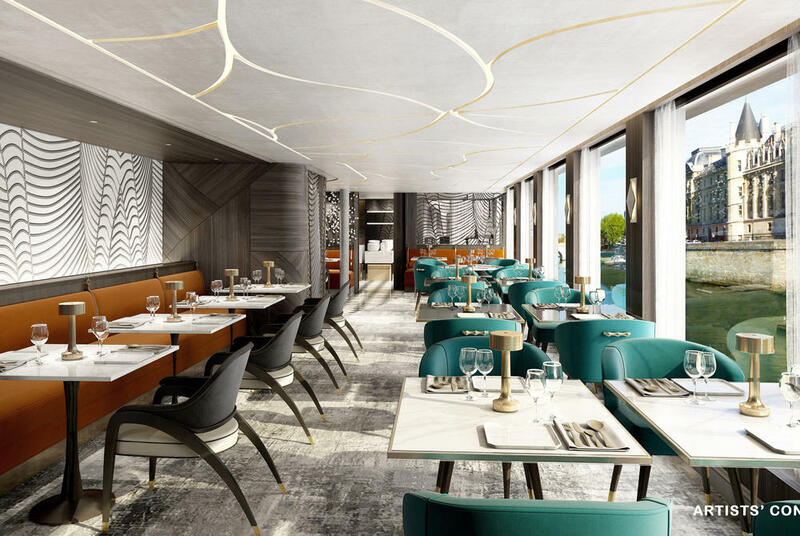 Additional enticing features include a luxurious spa and separate fitness centre and Crystal’s farm-to-table, Michelin-inspired cuisine in multiple, open-seating eateries: the elegant Waterside Restaurant, namesake Bistro cafés and the exclusive Vintage Room; and the Palm Court.